Although robotics have been used for many years, over the last few years robotics and automation have launched into an entire new level of opportunity. From health care to food processing, to agriculture, to industrial manufacturing automation spans across many industries. And to make it clear, robots are not going anywhere anytime soon and production of new machines will continue to increase over the next few years. According to IFR World Robotics 2017, from 2018 to 2020, global industrial robot sales are estimated to increase by at least 15% on average per year. Between 2017 and 2020 it is estimated that more than 1.7 million new industrial robots will be installed in factories around the world. Not only are robots making it easier to increase production, they may also increase your stock portfolio. In fact the robotics and automation has become so desirable for investment that investors can buy directly into the popular ROBO ETF based on the benchmark index comprised of 87 top robotics, automation and AI companies. The index which tracks companies in the robotics, automation and artificial intelligence (Also known as RAAI) industries. Just recently ROBO Global President and CIO William Studebaker says 80% of the companies the index tracks have reported earnings, and around 65% of the companies beat consensus revenue estimates and more than 75% have beaten on earnings. Joshua Brown, CEO of Ritholtz Wealth Management, wrote recently. “What price is too high to pay for a company’s stock if the company spends every waking minute trying to replace you?” So which robot stocks should you be buying? Honeywell is a major company who is not only priced well currently but making massive gains in the robot industry. A couple other companies to keep on the radar are Roper Technologies, who specialize in industrial robots for power plants and also makes medical imaging robotics as well Fortive, the Washington State based company makes automation tech used in everything from Mars explorers to artificial hearts. 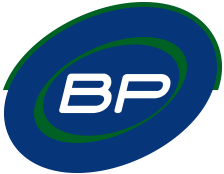 If you would like to know about our processes here at BP Automation and how we build robots for businesses learn more now.